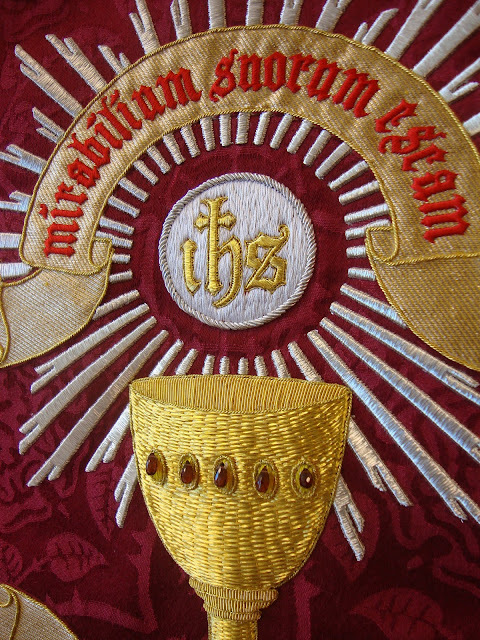 A while ago I had the great privilege of collaborating with Altarworthy Handmade Vestments to create a design for the back of a priest's chasuble. Here is the finished product, modified by Altarworthy and used on a real chasuble! 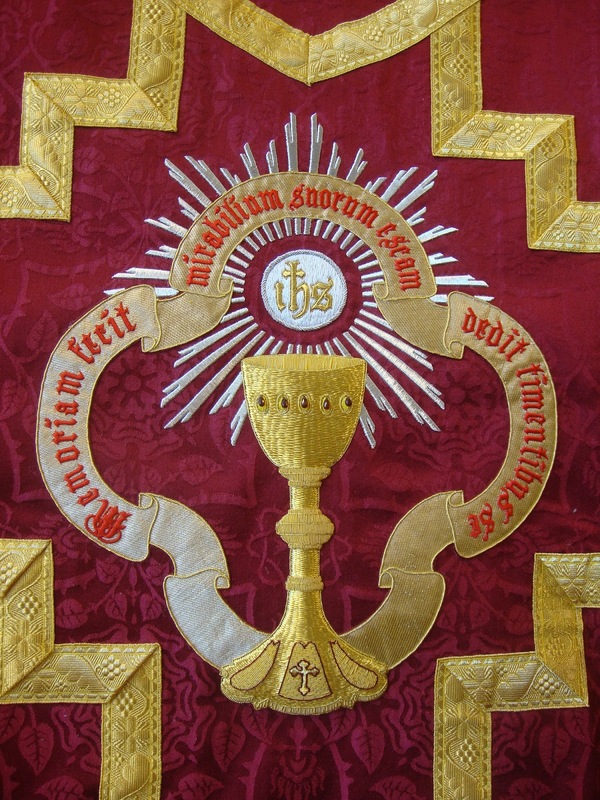 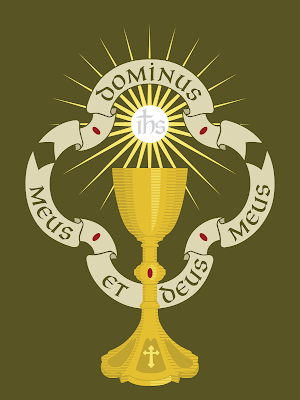 This is part of a vestment set for newly ordained Fr. James Mawdsley, FSSP.